Telecharge sent its first consumer email blast in 2001 for a little show called Mamma Mia! Since then, many emails have been sent, with varying degrees of success. Over time, the popularity of email as a marketing tool has waxed and waned, but no matter how many times email is pronounced dead, marketers keep coming back. The average ROI for every $1 invested in email marketing is $40.56. 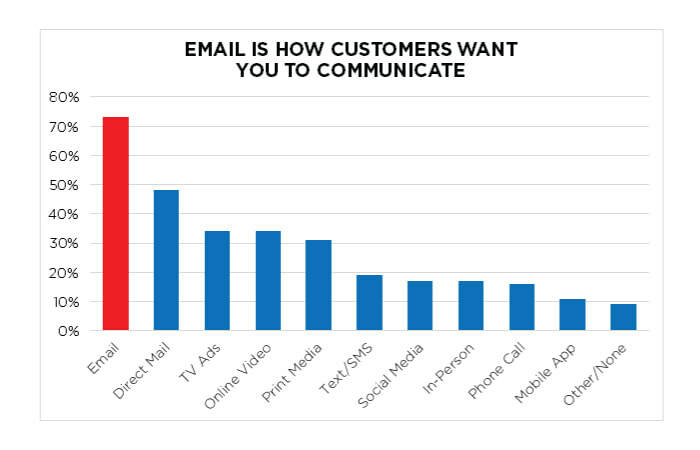 Email is the preferred method of commercial communication by 74% of all online adults. Baby Boomers spend an average of 16.5 hours online a week. Among seniors with an annual household income of $75K or more, 90% go online and 82% have broadband at home. Over 89% of seniors with internet use it for email. 70% of US Consumers say email is their preferred method of communication from businesses. 95% of those who opt into email messages from brands find these messages somewhat or very useful. One thing that has changed since 2001 is the immediacy of return from email marketing. Back in the old days, one could look at email as a direct sales tool to increase revenue and sell tickets. These days, it’s a little more nuanced than that, with impressions and visibility being equally as important. That may be disappointing to some, but the value is still there. Here at Telecharge, we still see good open and click rates for emails, which means people are looking and considering a show. So why email? With so many marketing channels and opportunities out there, the fact is that consumers still want it. For more information on the Shubert Organization, visit www.shubert.nyc.